It was appropriate that Perron, a Mexican restaurant in Illovo, Johannesburg, was the venue for Dia Noche's media launch. Those from the worlds of media, finer spirits and people in between gathered to experience for themselves what local tequila is capable of, and by the end of the evening, they were not disappointed. Guests were first greeted by an African Sunrises cocktail with citrus flavours and the brand's Gold tequila, a flavour which aficionados would be familiar with, though with a distinct smokey edge. Attendees were then seated at a table and given a brief history of the brand by founder Brett Rory Lipman, who also happens to be the CEO of Black Robot Advertising. Following Lipman's introduction, guests experienced a three-course tequila tasting, with the tapas on offer paired with the complementary flavour of Dia Noche tequila. The starters, guacamole and tortilla crisps, Jalapeno poppers and ceviche verde, were paired with the light Dia Noche LemonMint tequila. The main course, sweet potato & black bean tostadas, mushroom quesadillas, popcorn pollo taco, and chilli, was paired with Dia Noche Gold. Most intriguingly, dessert saw Dia Noche GingerBread coupled with churros, espresso, and vanilla bean & dulce de leche ice cream served with dark chocolate shavings and peanut brittle. Guests were informed that mixing the tequila, espresso and ice cream in reasonable measure would provide a unique dessert flavour, and while media update were sceptical, our doubts were eviscerated upon the first spoon. It was an evening of education and surprises, and for those who like a bit of tequila in their life, Dia Noche offers a high quality, South African alternative to what is available in the local market. 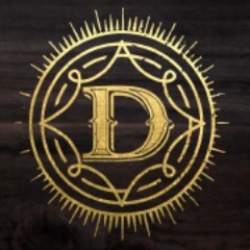 With Dia Noche having ambitious plans of expansion over the next 12 months, there is a chance you will encounter the brand at a preferred hangout sometime soon in the future.